As a follow-up to my previous articles   pertaining to the recent final judgment in the court case of Naperville Smart Meter Awareness (NSMA) v. City of Naperville, I wanted to more fully explain that the Court’s ruling was based upon a false premise. That false premise was that utility smart meters offer significant “benefits” to the government, the utility, and consumers. This article can also be considered as further examining the line of thought mentioned in a separate article that the Appeals Court effectively “deemed” that legitimate government interests exist for granular data collection, at least to the extent of 15-minute increments. These “legitimate government interests” pertain to “deemed benefits” as articulated by utility industry dogma. Although I have no legal means to overturn the final judgment of the Court, it can be readily shown that the Court’s premise of “benefits” is ostensibly false. It logically follows that the Court’s conclusion that smart meter privacy invasions (warrantless searches) are “reasonable” is also ostensibly false and in error. Just to be clear, in the above words, the Court has concluded that under the provisions of the Fourth Amendment to the U. S. Constitution, smart meter data collection represents a warrantless search. With the Appeal Court’s shocking final judgment, NSMA and its members were given no opportunity to argue against the premise of smart meter “benefits” since that issue had not been previously relevant in the ongoing court proceedings since 2011. The issue at hand was whether consumer rights were being violated. Retrospectively, what could NSMA have presented given the chance as evidence on the issue of benefits? Let’s look at the “benefits” mentioned by the Court: reducing costs, providing cheaper power to consumers, encouraging energy efficiency, and increasing grid stability. Do smart meters reduce costs? Based upon the above, I conclude that smart meters do not reduce costs and are not cost-effective. Do smart meters allow utilities to provide cheaper power to consumers? The short answer is “No!” Just looking at the City of Naperville where the Court case was decided against NSMA, the City has raised electric rates 6%, 7%, 8.3%, 3.6%, and 3.6% for the years 2014, 2015, 2016, 2017, and 2018, respectively. Smart meter installations for the City were effectively completed by the end of 2013. In addition, the whole point for utility rate proceedings is to pass smart meter deployment costs on to consumers with a rate increase. In many instances as indicated above for Kentucky, perfectly good legacy meters are essentially trashed before the end of their useful lifetimes, and the new smart meters likely have shorter useful lifetimes than if the older meters were simply left in place. Thus, it is difficult to envision how smart meters would ever result in “cheaper power.” They do not. Do smart meters encourage energy efficiency? The hypothetical argument here is that consumers will retrieve granular energy usage readings from online portals or In-Home Devices (IHDs) to help manage their own electrical usage and thereby conserve energy. Generally in the United States and Canada, consumers with smart meters have access to their granular data through a web portal (on a delayed basis) so they can see when they use the most energy. There is little evidence that consumers are interested in having access to this data. As previously reported at this website, less than 1% of the millions of smart meter customers in Texas have ever logged in to view their usage data . In the City of Naperville where the Court case was decided against NSMA, the utility department to this day has never developed an online portal for consumers to access their energy readings. Perhaps the City realized that such a program would be a waste of money despite the Court counting such a program as part of the rationale for ruling against consumers and their privacy rights. Do smart meters increase grid stability? Again, the short answer is “No!” Here the Court is misplaced in attempting to assert that smart meters somehow increase electric grid stability. Smart meters simply measure energy usage by remote means and replace human meter reading personnel who would periodically inspect utility meters for safety issues. Smart meters offer added functionality to collect privacy invading granular data and in fact introduce cyber threats into the system that could have catastrophic consequences such as widespread blackouts or worse. Hypothetically, the modernization of the electric grid itself and the creation of a “smart grid” could help increase grid stability, but that has little or nothing to do with smart meters on customer homes. Consistent with the ruling in the New Mexico rate proceedings, it can be concluded that smart meters do not provide a net public benefit and do not promote the public interest. The U.S. Court of Appeals for the Seventh Circuit recently ruled that smart meter warrantless searches were reasonable and therefore legal by accepting utility industry dogma on the “benefits” of smart meters. This dogma was shown above to be false. NSMA was given no opportunity to demonstrate that the Court’s final judgment was based upon a false premise. The Court had also mentioned the word “significant” in its rationale on government interests and benefits. 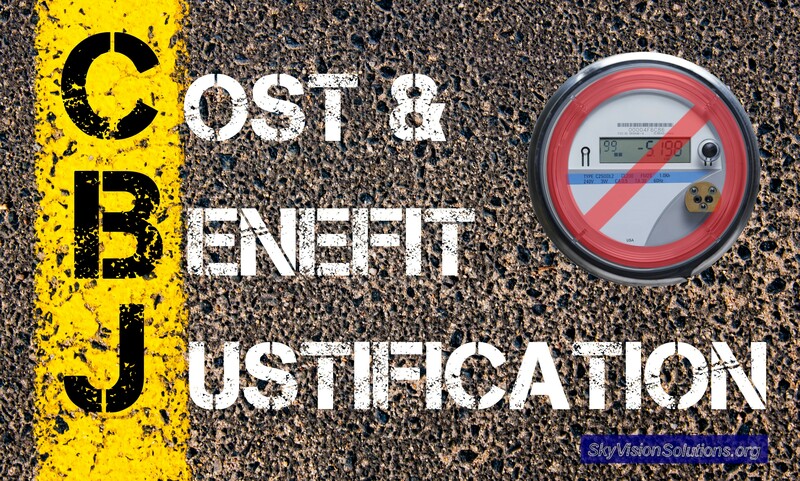 Even if one could acknowledge some limited benefits to smart meters, this article has certainly shown that they are not significant and are largely outweighed by the costs. Limited or marginal benefits, if any, could not be considered to outweigh one’s Constitutional rights. 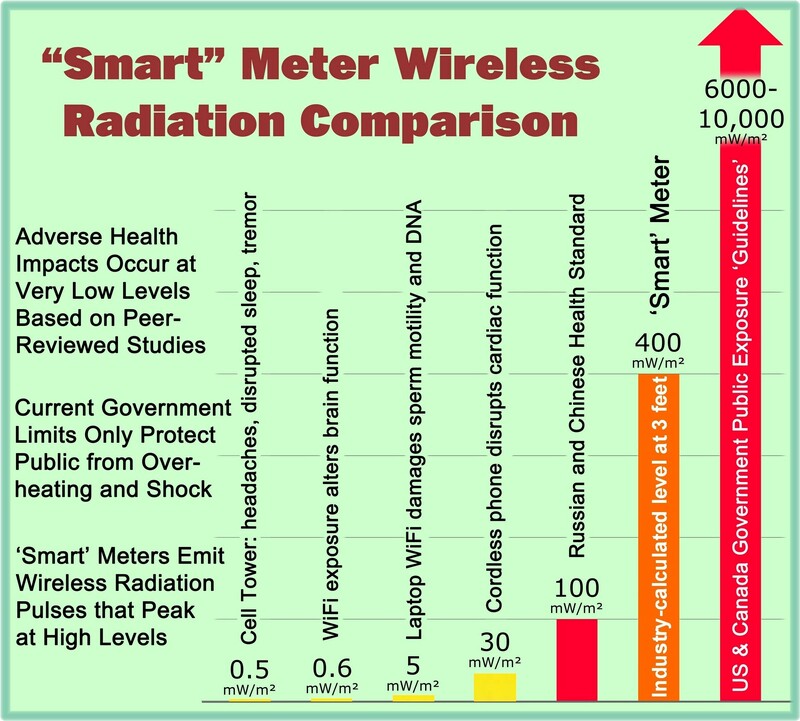 Thus, notwithstanding the Court’s ruling, it has been shown that since the ruling was based upon a false premise of significant smart meter “benefits”, the ruling was in error, and smart meter usage data is in fact being collected every 15 minutes without a required warrant and in violation of the Fourth Amendment to the U.S. Constitution. Smart meter data collections in Naperville, Illinois, represent an unreasonable and therefore illegal search. SCADA (System Control and Data Acquisition) is an array of communication protocols that have been employed by the utility industry for decades, primarily for substation monitoring and distribution automation purposes. This article focused on the false premise of smart meter benefits. Another false premise is that personal 15-minute granular energy usage data is needed in order to successfully deploy smart meters assuming you could elsewhere establish circumstances where smart meter deployments promote a net positive public benefit. Many utilities in fact collect 1-hour data when they deploy smart meters (which is less invasive than collecting 15-minute data). A few utilities collect 5-minute data. There is currently no magical number (based upon a privacy impact assessment) on what might be considered a proper balance between consumer privacy interests and so-called legitimate government interests in collecting granular energy usage data. Since this issue was not addressed by the Naperville court case or any other court case, there is no objective basis to merely accept 15-minute granular data collection as reasonable. Copyright Notice © SkyVision Solutions and Smart Grid Awareness, 2013 – 2018. Unauthorized use and/or duplication of original material from this site without express and written permission from this site’s author and/or owner is strictly prohibited. Excerpts and links may be used, provided that full and clear credit is given to SkyVision Solutions and Smart Grid Awareness with appropriate and specific direction to the original content. This entry was posted in Smart Grid, Smart Meters, and RF Emissions and tagged Costs, Naperville, Privacy, Smart Meters. Bookmark the permalink. The 7th Circuit opinion was ludicrous at best. An appeal would to the supreme court may work. I don’t know of any other opinions on this subject matter has been raised in the US.